INCORPORATED AND LOCATED IN EDMONTON, ALBERTA CANADA; SPHERICAL SOLUTIONS IS A SPECIALTY DISTRIBUTOR OF BEARINGS, POWER TRANSMISSION AND RELATED DRIVE COMPONENTS. OUR DECADES OF EXPERIENCE ARE FOCUSSED IN THESE PRODUCT AREAS. WE ARE DEDICATED TO ENSURING THAT YOUR WORLD RESOLVES SUCCESSFULLY. FROM YOUR FAVORITE BAR STOOL TO THE AIRCRAFT WE ALL USE TO TRAVEL HALF WAY AROUND THE WORLD IN A HANDFUL OF HOURS TO THE EQUIPMENT SMALL OR LARGE, THAT ENSURES YOUR COMPANIES PROFITABLILITY. WE WILL DELIVER WHAT YOU WANT, WHERE YOU WANT...WHEN YOU NEED IT. About us Incorporated in 1953, Ringball entered the Bearing and Power Transmission field by representing predominantly European manufacturers of bearings and roller chains. Having since expanded into a wide range of other Power Transmission products, Ringball was able to develop close ties with reputable manufacturers around the Globe and has today reached a position of being able to offer a truly international product range to its customer base. Established in 1955, EES bearing service offers years of technical experience in the sourcing, supply, delivery of quality bearings and power transmission parts to industry, agriculture, and original equipment manufacturers. Mission At CB we work together to enable our customers to build, operate, and maintain machinery and equipment to tomorrow’s higher standards. The CB Story For over 60 years, Canadian Bearings has focused on delivering products and solutions efficiently to our customers. We have become the industrial supplier of choice for many of Canada’s manufacturers because of our proven performance, continuous improvement, and ability to deliver consistent cost savings, and commitment to our customers. Today, CB is a lot more than bearings. We offer one of the most comprehensive lines of products in the industry with nine categories of product solutions. Our customers have the choice of getting one part or fulfilling their entire needs in each of the categories. At CB, we have continuously improved our ability to help customers save money through technical solutions and are ready to deliver more. CB has pioneered many supply chain solutions that have enabled our customers to achieve significant cost savings, compress cycle time and improve asset utilization. We have a comprehensive range of solutions culminating in an integrated supply system with dedicated sales and implementation teams, and all the necessary processes. 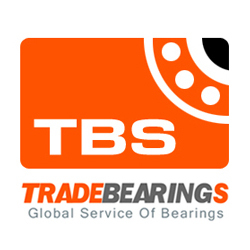 Bearing Sales & Purchase Ltd is the largest surplus bearing company in Canada. We have been in the surplus bearing industry for 25 years. Whether the lots are large or small, we buy all types of bearings from all types of industries. If you\'re looking to buy or sell your surplus bearings, call us first. Applied is one of North America’s largest industrial distributors of bearings, power transmission components, hydraulic components and systems, pneumatic components and systems, industrial rubber products, linear components, tools, safety products, general maintenance and a variety of material handling products. We also provide customized mechanical, fabricated rubber and fluid power shop services, as well as services to meet storeroom management and maintenance training needs.